Agra - Majestic buildings and still flourishing arts and crafts including leatherwork and pietra dura marble-inlay work along with delicious Mughal cuisine have now become an inseparable part or more, the identity of the city. 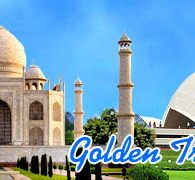 The famous Golden Triangle of India actually covers three most beautiful and captivating cities of the country ­ Delhi (the capital of India), Agra (the city of Taj) and Jaipur (the land of Rajput kings). It is actually a kaleidoscope that presents the Indian pageantry in its most colorful forms and offers you a dazzling vista of stately and grandiose architectural buildings, forts and palaces with a legendary heritage and a fertile and affluent tradition of art and culture. These cities are undoubtedly, the epitomes of Indian cultural, historical and architectural heritage and have all been the capitals of the princely states at least in the past. 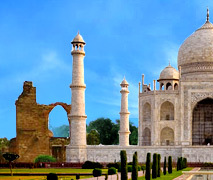 The blessed experience of viewing the world-famous monument of Shahjahan's love - Taj Mahal, the imperial, elegant and imposing buildings of Lutyens' New Delhi and the regal splendor of the desert city of Jaipur, will certainly leave an indelible expression in the deepest recesses of your heart. Each city has its own unique identity made up of a combination of different sights, sounds and experiences. 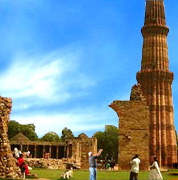 Delhi is as modern as any big cosmopolitan city with a degree of sophistication that comes from being the ruling capital of a nation and modernity that comes from being frequented people of all nationalities and cultures. Agra showcases the opulence of the Mughal Empire while a royal elephant ride and warm welcome in the city Jaipur are not the only reminiscent of to the citys medieval Rajput culture. 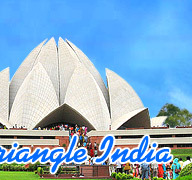 This Golden Triangle is one of the hot-picks and has beckoned tourists for long and no city is more than 250 km away from another of the triangle and is connected well by roads and trains. Being popular tourist destinations, all of these cities have good hotels and tourism facilities too.